For most Mormons, unless you have been living under a rock, you’ve been seeing a lot of one on your Facebook and Twitter feeds. Maybe you shrugged your shoulders and scrolled down. Or maybe you totally freaked out. Most, I suspect, are mildly surprised, somewhat curious, and perhaps a little unsettled, but nothing you can’t get over. While not really “hidden” (as some would have it), it is true that we have not really talked much about it as Latter-day Saints. It has not played any real role in our social memory—that is, in the stories about who we are as a community, which we share and perpetuate as a community—so it is understandably unfamiliar to us. Those who dig a little deeper might find that there was a lot of this kind of thing in the early years of the Church. From not simply a historical, but an anthropological perspective, there is really nothing surprising about that the fact that as a community, we have only remembered the things we deemed important and forgot the rest. Still, finding that Joseph Smith’s story of an angel and gold plates can be told—as it most certainly was in Joseph’s early years—in a way that makes it seem indistinguishable from the popular folklore of the day can be a little discomforting. Language is not limited to the words we use; it also entails signs, symbols, and bodily gestures that are imbued with meaning by the cultures that produced them. As with spoken language, symbolic and gestural languages are culturally specific and can be fully understood only by those entrenched within that particular culture. In short, all revelation is imbedded within a cultural context. Wright illustrates this point by documenting an interesting trend: in the Book of Mormon, revelations described in the earliest portion of the text fit well within an ancient Israelite context, while later revelations begin to take on characteristics more fitting within Mesoamerica. Bringing this back into the present, consider the fact that the way the Church runs looks rather ordinary. Indeed, it is virtually indistinguishable from the way any sizable entity operates today. Some of our most important contemporary documents—such as The Family: A Proclamation to the World—are forged by the pressing issues of the time, and by processes that seem anything but miraculous. The Church fits within the culture of the day. It fits within the corporate culture, to be particular. And just as the folkloric origins of the Church were a point of criticism in the early years, the Church’s corporate culture is a frequent target for critics today. But just because everything about the process appears ordinary, that does not mean revelation doesn’t inform the choices made by the various participants, most especially the 15 men at the top. Whenever I make a decision based on thoughtful prayer and revelation, it doesn’t really look any different than when I make a choice without it (though the outcome can be quite different!). Likewise, just because Joseph’s story can look like any other money digger’s yarn does not mean there was no real angel and real gold plates. So how do we know that revelation is involved? Well, I can’t answer that one for you, although I do have my own answer. You need your own revelation for that, and I can’t get it for you. Great explanation. I think I fall into the "shrugging my shoulders and scrolled down" category. I had an opportunity to listen to a podcast on Mormon Matters about this subject. It was quite interesting, but I wondered why the big fuss. I am a newish convert (8 years) to the Church of Jesus Christ of LDS. I learned about Joseph Smith as a child growing up in Louisiana. It was not surprising to the "culture of the South", to judge a "man of God", who had peculiar gifts, such as "seer stones, or divining rods, or whatever". Blah, blah blah. I chose to investigate this Church because I was seeking the truth about God, about Jesus Christ and most of all I wanted to know what happens when we die. 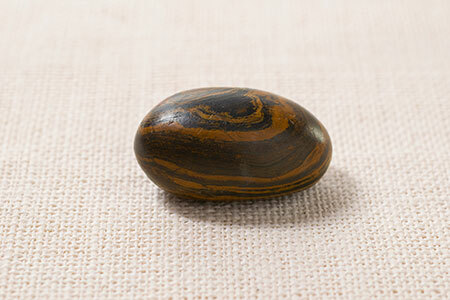 I don't think that I would leave the church because Joseph Smith used a seer stone, or even a crystal ball to aid him in "receiving revelation". I really believe that the book of Mormon is the truth, no matter how it was produced. There was a big flap about a person writing a book and signing off as Anonymous. It was a best seller. But is there an instruction on the proper way to receive revelation? I have always thought that first and foremost that Jesus Christ is the head of this church, right ? As a convert, I am always puzzled at the things that seeming cause people to question their testimonies? Are we building our faith on the Rock or the shifting sands of the cult of culture. I love that paper you linked too. It seems pretty clear from your post that you were unaffected by the method of translation which is probably fairly common among the faithful. A lot of them are shocked at first but most just absorb the new information and perspective and move on. On the other hand, there are those that assimilate this type of information and begin to dig deeper and learn that the plates weren't the first treasure that Joseph attempted to discover with his peep stone. The more troubling issues regarding the stone aren't that he used it to translate the plates, but rather he was paid to use it, unsuccessfully I might add, to find other buried treasure. These are the types of issues that cause faith to falter and beg the serious questions. It's similar to polygamy, most believers can accept it after the initial shock, it's the members that dig deeper and are unable to rationalize Joseph marrying other men's wives and young teenage girls that eventually have a faith crisis and leave the church. There are other questions to ponder here of which the apologetics leave much to be desired. 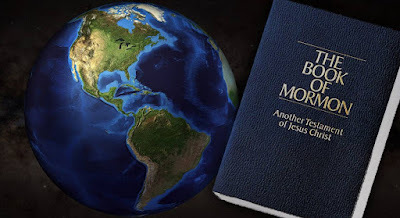 Such as why would God cause the BOM to be meticulously written on brass plates, hauled half way around the world, abridged by Moroni, buried for over 1000 years, dug up and pursued to the point that Joseph feared for his life while in possession of them.......and then not even needed for the translation to occur. It's a fair question of which the standard apologetic answer is an amalgamation of faith building and trial. Never stating clearly how either of these were actually of any benefit or couldn't have been had in a myriad of other ways. The tale of the LDS God is a strange one indeed. There are some who do dig deeper and do rationalize Joseph's marrying of other men's wives and teenage girls, and other things. God is strange. It has been my observation that reality is usually stranger than we think it ought to be. I apologize on behalf of God for His not making everything obvious to you. He has clearly failed in his most important duty. I once attended a talk by Henry Eyring, the scientist. He said that he explained God to other scientists by pointing out that, given any two people, one of them is smarter than the other, and thus there is clearly someone who is the smartest person in the universe. That person is God. God has told us that he created the universe we inhabit, and if that is true, he surely knows more than all of the cosmologists who live today, in spite of their many startling discoveries in recent decades. Possibly after you have pursued the various means provided by God for you to become better acquainted with him and his works, you will eventually come to an understanding of the puzzles that currently stump you.